Iris Dement’s The Trackless Woods sets Russian poet Anna Akhmatova’s poetry to music with excellent results. There was a substantial eight-year gap between Iris Dement’s third and fourth albums, then another eight between the fourth and fifth. Fortunately for her fans this pattern has been broken, and The Trackless Woods, her sixth long-player, was recently released only three years after Sing the Delta. Such statistics of course mean little, although they do suggest Dement does not treat music as a casual endeavour, and perhaps in her case rightfully so: there is no other artist quite like her. Her voice is distinctively treacle-sweet, her accent Southern. Her music style is usually between country and folk, and determinedly mature. There is little room in her work for postmodern irony because her delivery is plain, but in itself this is the point -- what you hear is what you get. Young people may blanche at what they consider an old-fashioned approach, but in the past (particularly on the defiant 1996 album The Way I Should) Dement has demonstrated a rebellious streak at odds with what may be expected by the presentation. She embodies all the qualities of old-school artistry; she is undoubtedly creative, talented, original and seems to be a world apart from showbiz and the machinations of the music industry. As such, it’s always difficult to guess what Dement’s next project will be. On the face of it The Trackless Woods, an album of Russian poet Anna Akhmatova’s poems set to music, seems surprising -- and risks being painfully serious and overworked -- but in actuality is a perfect fit. Essayist John Bayley has characterized some of Akhmatova’s work as “grim, spare and laconic” and Dement fans my recognize this perspective from earlier albums. Others have also attempted similar projects, with composer Arthur Lourié previously setting some of Akhmatova’s poems to music. Akhmatova’s life in Russia was far from easy. She lived through wars, persecution, revolution and the Stalinist regime and this album’s tone is often appropriately austere. The arrangements are simple, with Dement’s voice and piano at the forefront. Akhmatova’s poems-come-lyrics are treated with gentle reverence and are beautifully sung by Dement, particularly on “From the Oriental Notebook” (which also has some remarkably shimmering percussion courtesy of Bryan Owings). With time Dement's voice has deepened in vibrato, but it has lost none of its girlish charm; “Broad Gold” shows off her voice to great effect, but its idiosyncrasy may be a step too far for first time listeners. It would probably be safe to say her singing is an "acquired-taste", but perseverance is rewarded. On the delightfully unusual “Not with Deserters”, her vocal is accentuated by double-tracking and the particularly deep voice of Greg Brown. More traditional perhaps are the religious undertones of “Prayer” and “Lot’s Wife”, which are well suited to Dement’s individual style and background. The Trackless Woods was recorded in Dement’s living room, and there’s a warm, homey feel to the album. The small, trusted circle echoes the Stalinist world in which poets would have to memorize each other’s works and circulate them by word of mouth to avoid trouble with the authorities. Here the players always add rather than detract; there's a beautifully melodic guitar line on the pensive “Reject the Burden", and Richard Bennett’s and Leo Kottke’s guitar work is well judged throughout; Jon Graboff adds some melancholic pedal steel and sprightly mandolin when necessary. Initially the album seems rather still (and purposefully so, with Dement referring to “the stillness of night” in “And this you call Work”), but as it progresses there is some variety with moments of exuberant playing; “Listening to Singing” is carefree and upbeat folk and “From an Airplane”, about Akhmatova’s flight from St. Petersburg during the German siege, is rolling and adventurous. 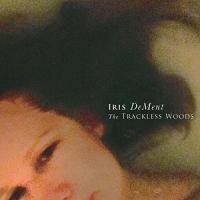 Fortunately The Trackless Woods has a lightness of touch which makes Dement's interpretation of Akhmatova’s collision with history an interesting listen. It is equally captivating when addressing the personal. A particular highlight is the haunting and emotional “The Souls of All My Dears”, based on lines from Akhmatova’s “Requiem”. Despite having had several opportunities to escape Russia (Paris, where she took her honeymoon, must have been tempting), Akhmatova chose not to emigrate, and it’s easy to enjoy Dement’s evocation of Akhmatova's defiant strength. Dement/Akhmatova finish by drinking to a cruel world, the house “already destroyed, to my whole life, too awful to tell”, to the “loneliness we together enjoyed”, “the lips that betrayed me with a lie”. Despite being banned, undervalued, insulted in her home country, Russia probably needed Akhmatova more than Akhmatova needed Russia. And The Trackless Woods most certainly suggests we need Dement to carry on making unusual and charming records like this, rescuing austerity from the mealy mouths of politicians, to transform hard times into fine moments of beauty.